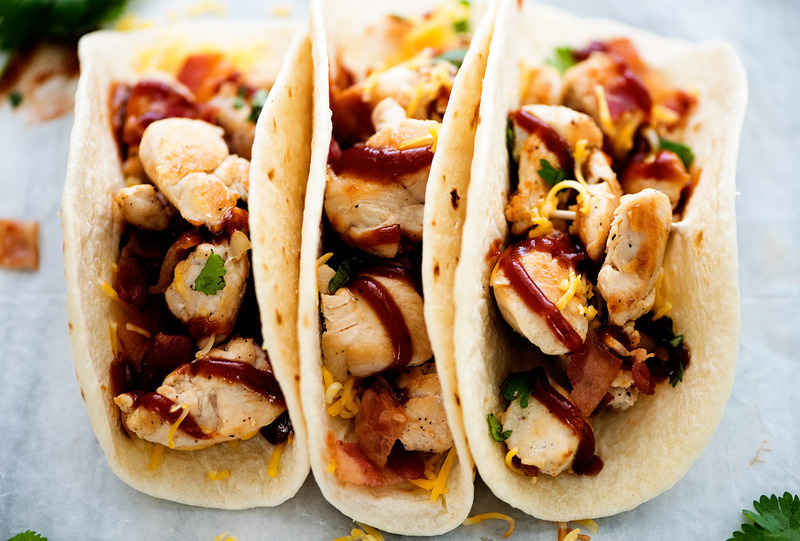 These tacos. How do I even begin to tell you about their deliciousness? 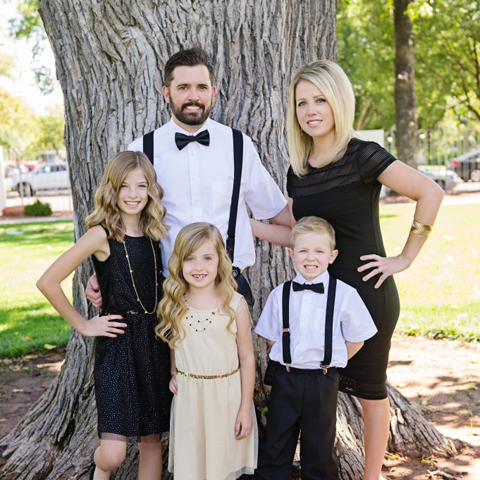 Well, for starters they are my new fave and that is saying a lot. 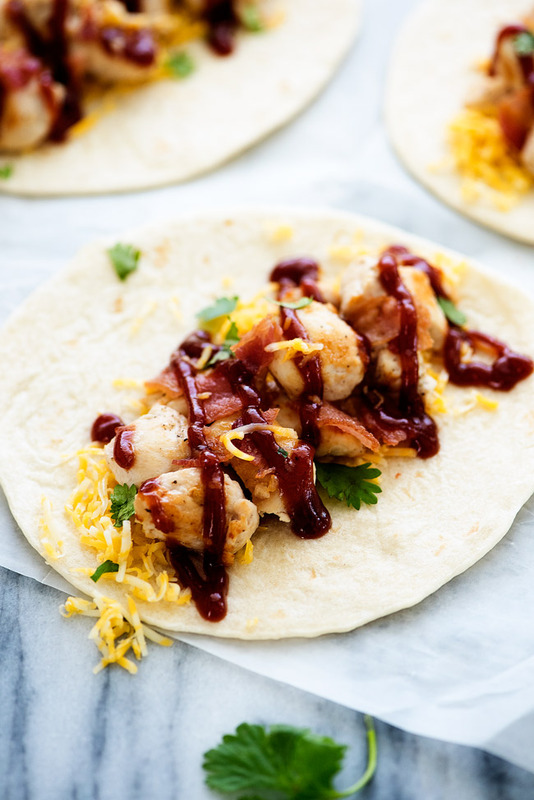 Grilled chicken, bacon, cheese, cilantro and barbecue sauce all packed in a flour tortilla. 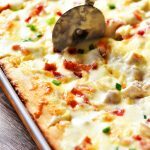 They’re so incredibly yummy and loaded with flavor! 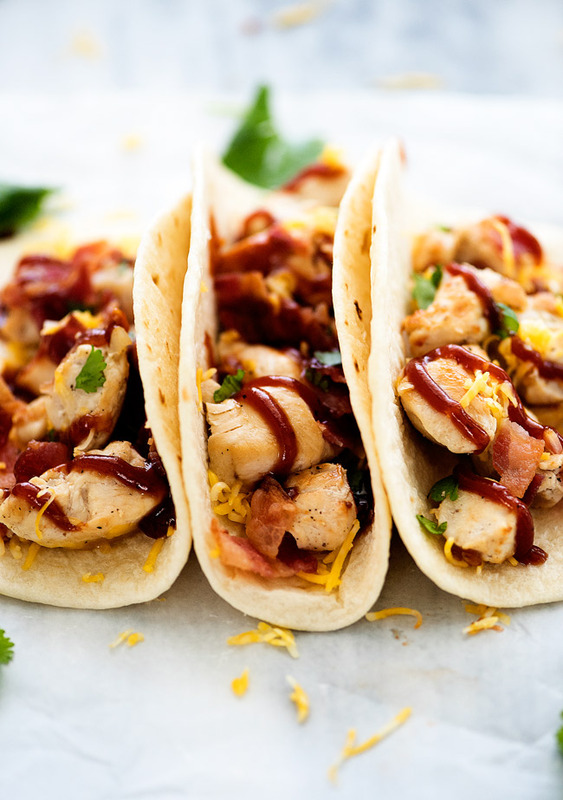 Incredibly delicious grilled chicken tacos with bacon and BBQ sauce! 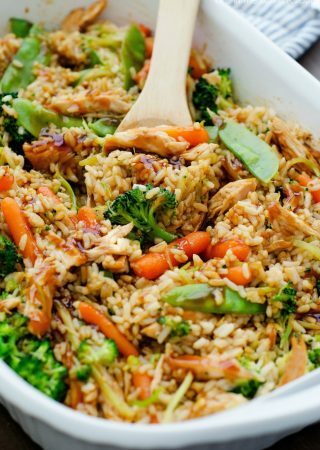 In a large non-stick skillet, cook chicken over medium-high heat. Add diced onion and minced garlic. Season with salt and pepper. Cook and stir chicken until no longer pink and thoroughly cooked. Warm flour tortillas in microwave. Place one tortilla on a plate. 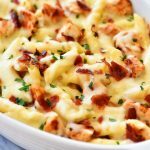 Add a few pieces of cooked chicken, a few tablespoons bacon and cheese. 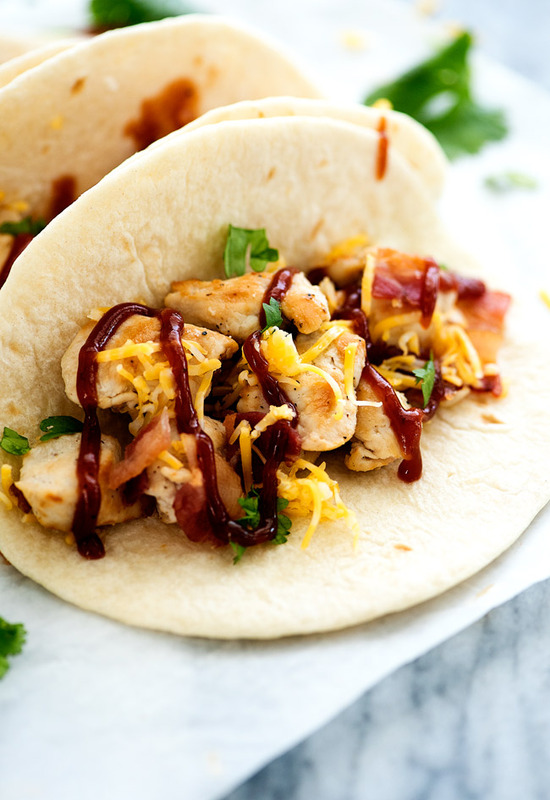 Top with cilantro and desired amount of barbecue sauce. 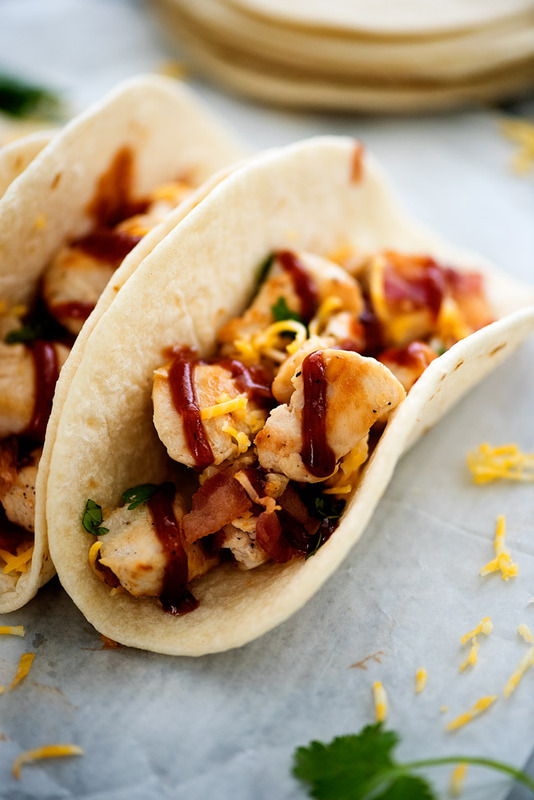 Repeat with all tortillas and fillings. Serve tacos warm and enjoy! WHY ARE YOU CALLING THIS BBQ WHEN YOU DO IT IN A SKILLET??????? ?